A few months ago a new book hit the market. 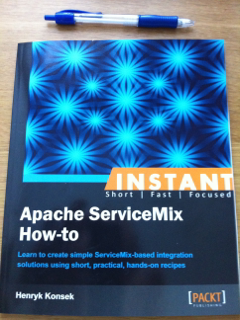 Apache ServiceMix book, recently published. Authored by Henryk Konsek. Apache ServiceMix Hot-to, authored by Henryk Konsek, who is also a Apache Camel committer. First I want to congratulate Henryk for being published - welcome to the club. I received my hardcopy of the book a couple of weeks ago. My part of this book was helping Henryk being a reviewer. The book is a practical how-to book with 19 recipes for using and working with Apache ServiceMix. Starting how to install and start ServiceMix, and showing how the shell and web-console works, as well how to access the logs, install applications and the likes. 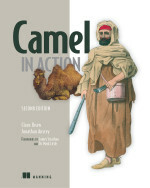 And then covering some examples how to develop and deploy Camel and CXF based applications. The book is great for new and intermediate users of Apache ServiceMix. Users with many years of ServiceMix knowledge would surely already know most of the content of the book. And you can read the book over a weekend, its 53 pages.